University of the Fraser Valley's Samantha Merritt is never one to back down from a challenge. During her last 3 months in the Fashion Design program she not only completed her graduation portfolio and 3 runway looks, she was also helping to design a tartan for the City of Abbotsford - all while writing a 10 page essay on nursing statistics. Even she was surprised when it was all finished and notes that the support she received from the school was key. "With the help of my amazing and very knowledgeable professors, I made it through to the end." Merritt has always been passionate, spontaneous and hardworking in her approach to life. In high school she immersed herself in art classes and enjoyed playing on soccer and basketball teams. It was a tragic knee injury during a play-off game one season that opened the door to a future in fashion. "Not being able to participate in P.E. that term, I was sent to the only available class with open seats - Textiles, aka Home Sewing 101! I wasn't thrilled and had no clue how to sew, but quickly came to realize it was a way I could funnel my artistic abilities into something useful in life. 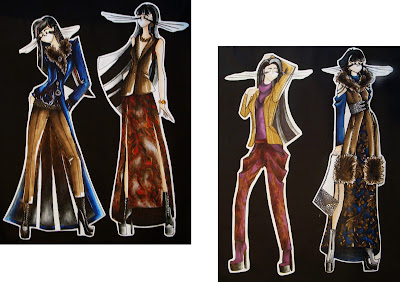 Making fashion became my new passion." excellent program with diverse electives, Merritt could live at home to keep costs down. Doing what she loved made the hard work enjoyable and a trip to overseas fueled her creative process. 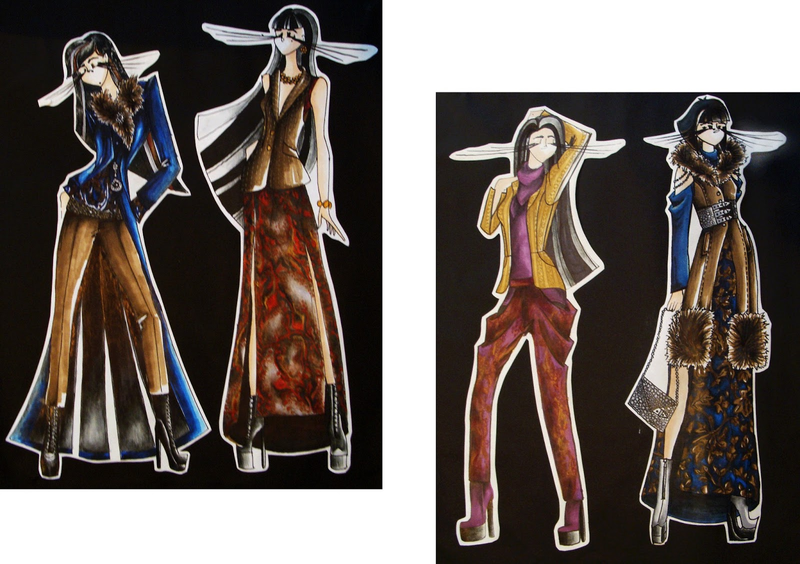 "The inspiration for my grad collection came from King Louis XIV's Palace of Versailles. I visited France in the summer leading up to my collection and knew instantly what I wanted to base it on after I strolled through the Hall of Mirrors." 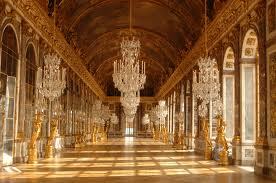 Merritt was mesmerized by the all textures and decadent brocades as well as the room's lavish gold glow. The hall exuded LUXURY! When her final collection - Brazen - hit the runway, the audience was treated to options for the professional woman that would move fluidly from day to evening. Take off that coat and underneath is just the right outfit to wear out for a night on the town. Her rich palette included silver, gold, radiant red, maroon, peacock blue and chocolate. Garments were fashioned from lush fabrics such as Brocade, Damask, Devoré and Velvet. The final looks blended hints of the past with modern aesthetics. Merritt's vision and talent were acknowledged at the end of the show when she received the award for the Most Creative Collection. 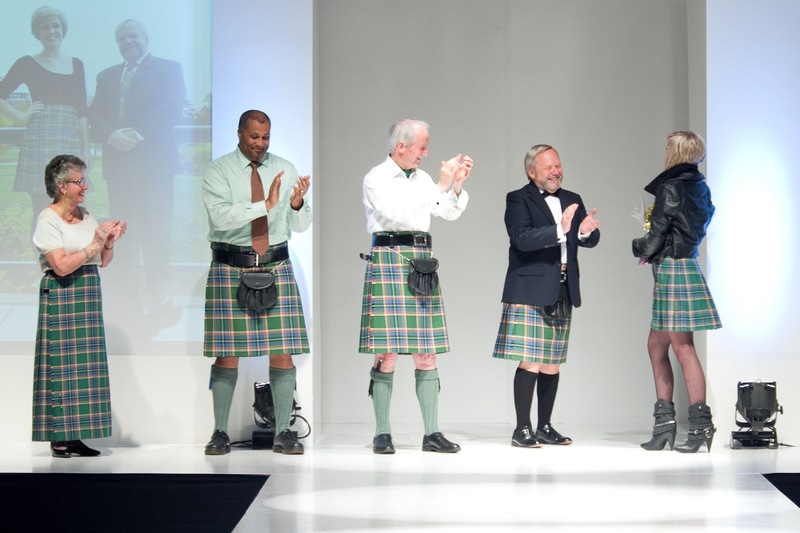 During her final year, Merritt began to work with Christine Wiebe from Volunteer Abbotsford on a project to design a city tartan using a software program specific to UFV's Weaving Fashion Fabrics course. The colours chosen represented flourishing local industries - black for the rails, roads and coal; white for dairy; yellow for corn; red for berries; blue for aviation; and green for both the UFV and the forest industry. The designer first created 25 different colour combinations and tartan lay-outs for the council to vote on. After a colour scheme and basic pattern were decided, she then created a new round of potential winners. The final tartan is officially registered in Scotland and can be viewed at the Scottish Register of Tartans. What does the future hold for this talented designer? A Masters in Fashion Design is first on the list, followed by the desire to one day launch her own brand. And she hopes in the midst of these plans there will be time for more traveling. Merritt shares, "Fashion is my life. I live it, breathe it and practice it. Without fashion.................okay, let's be real. Fashion will always be around and it will always be in my life." For more information on UFV's fashion design program go to http://www.ufv.ca/fashion.htm. 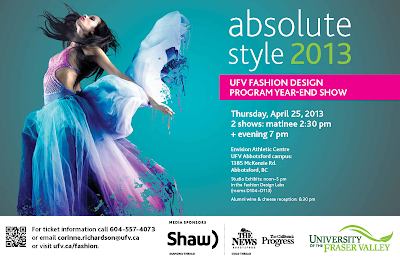 For tickets and information about attending their upcoming April 25th grad show 'absolute style 2013' - call 604-557-4073 or email corinne.richardson@ufv.ca. This event was sold out last year, so I encourage you to order your tickets early.